The new ducted fan unit JETFAN-90V2 was designed especially to gain much more thrust and E-Flux for more dynamic climbing performance and high speed passes. Also a much better whooshing sound was the result. Usage of your existing 36mm up to 41mm outer diameter motors is possible. So you have the advantage to choose from a wider range of motors. So now the change to a better, more powerfull flying of your existing 90mm jets will come true! 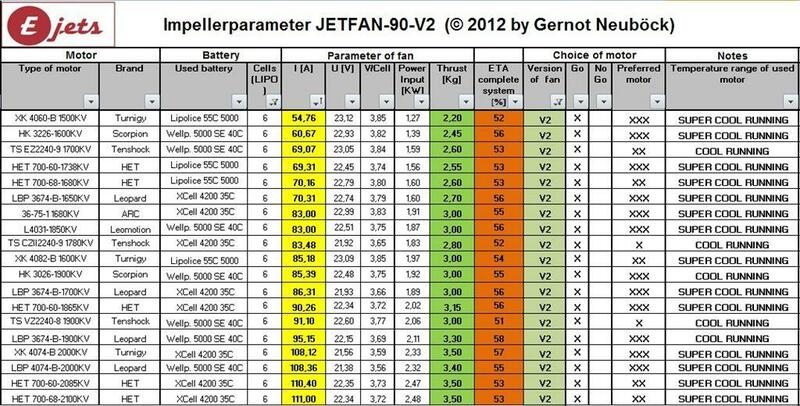 The weight of the JETFAN-90V2 is 122 gram / 4,3 ounces.